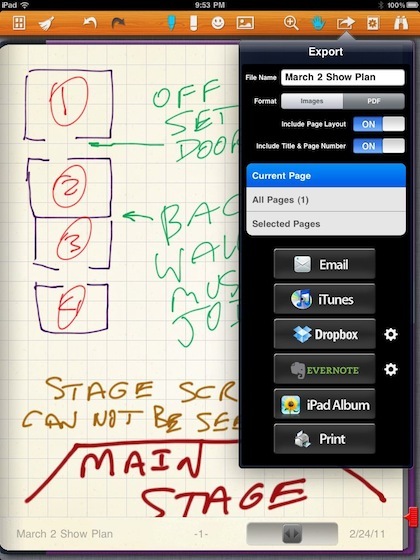 Handwritten notes and sketches created on the iPad can be done with a very large collection of apps. Some make it easy to choose color pens, others have a variety of types of writing devices or brushes for drawing and painting. We have covered a few on the site here that we are using. Emailing a note is great for getting the message out. What we are finding though is that team members may not receive the email on their iPads and now they need to move the note around to use it beyond the device they check their email with. Two locations we use are our DropBox and Evernote accounts. Both give us the ability to save our notes/drawings for our own use and to share our created items through ‘shared’ folders. 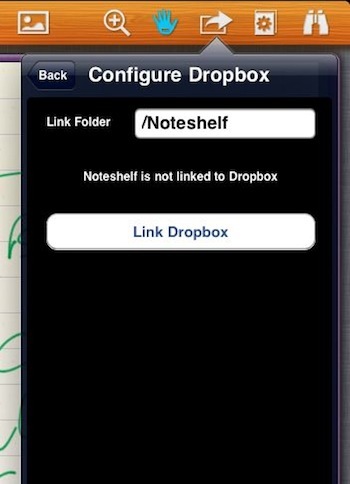 By using the ‘send to’ feature in NoteShelf we are able to share a file to a particular folder as needed. Many apps lock the file cloud saving to a single folder. 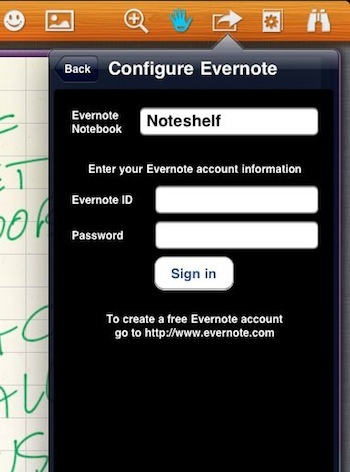 NoteShelf will allow the user to choose if they are saving their notes to cloud folders being shared or private for each note. We set up folders on both DropBox and Evernote services that are shared with different groups both internal and external to the company.